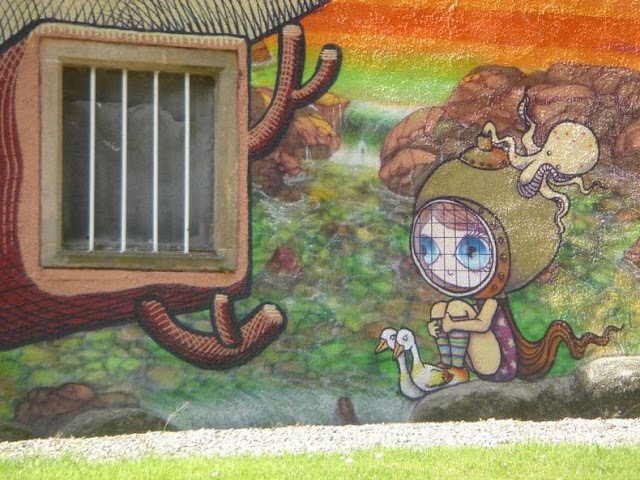 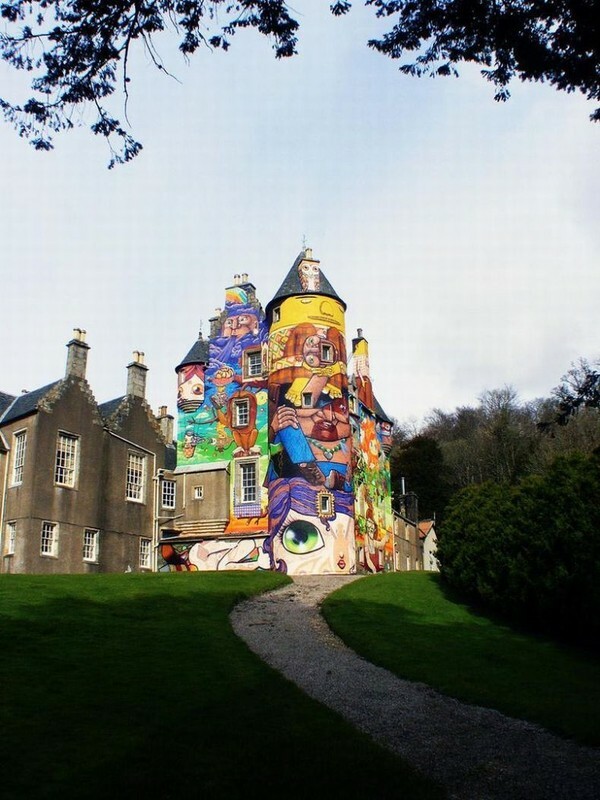 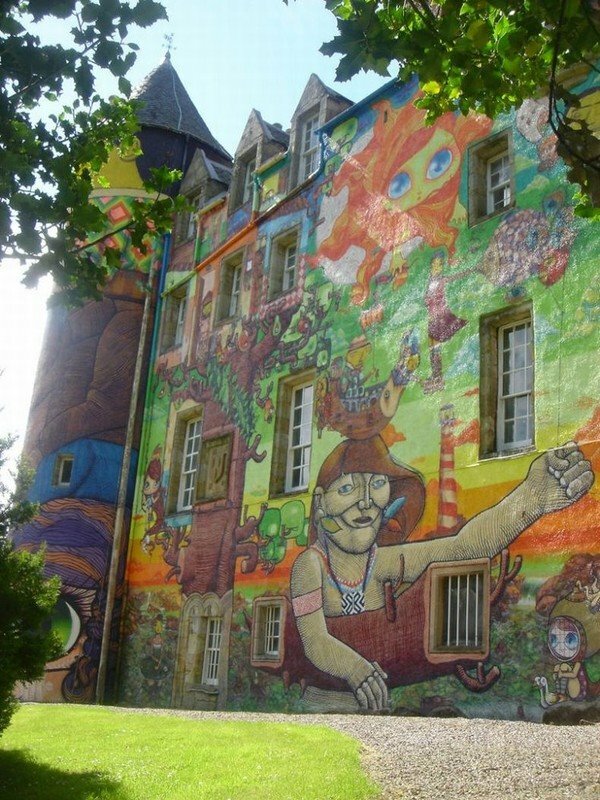 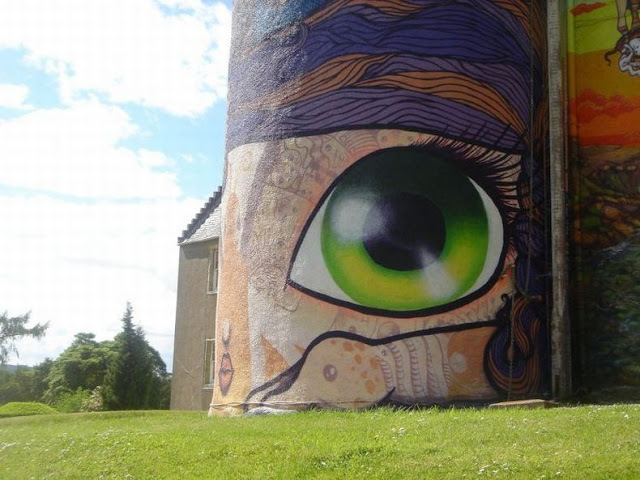 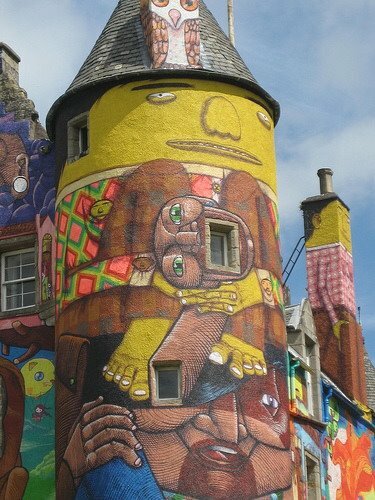 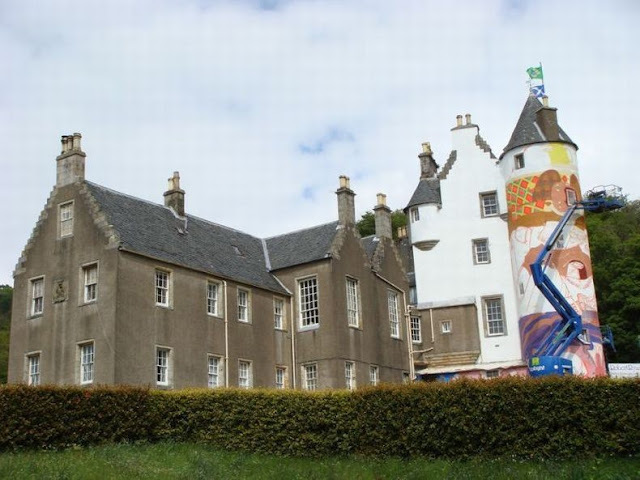 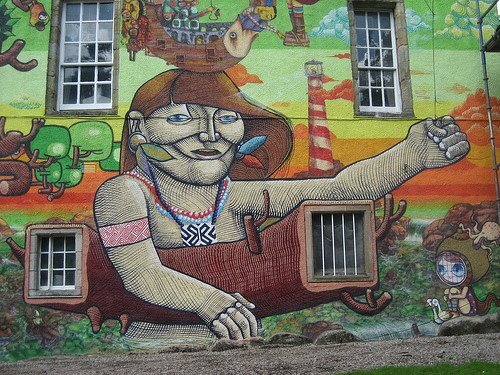 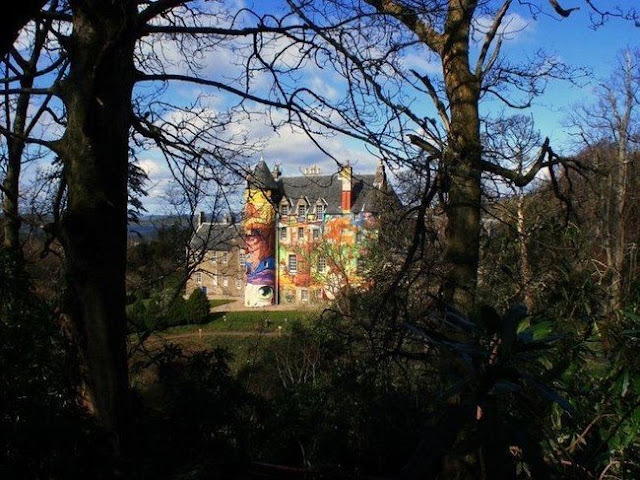 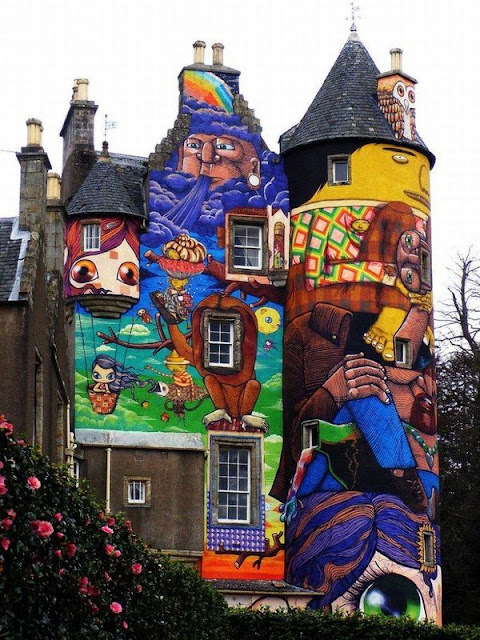 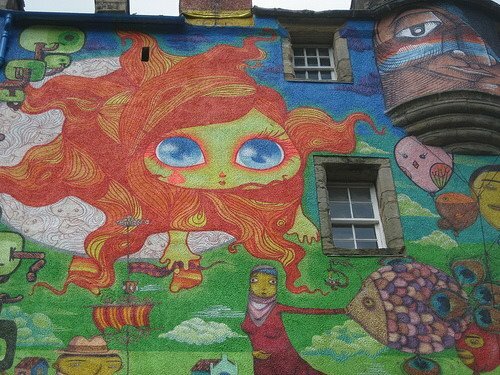 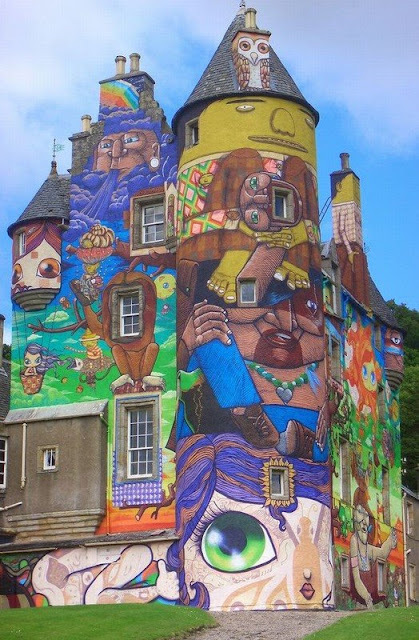 Kelburn castle is prominently located on the west coast of Scotland, 35 miles west of Glasgow, overlooking the sea. 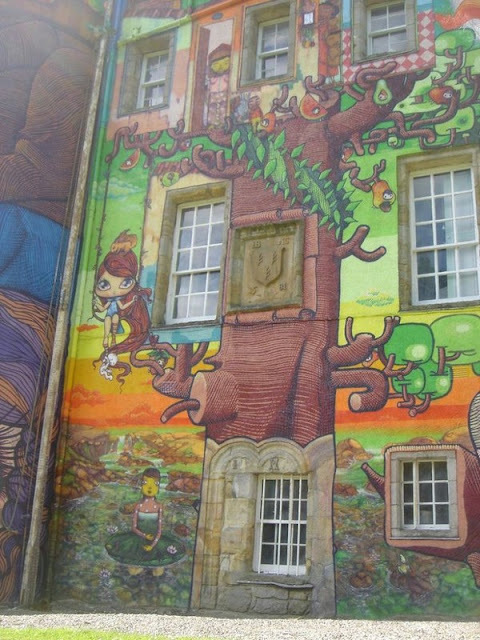 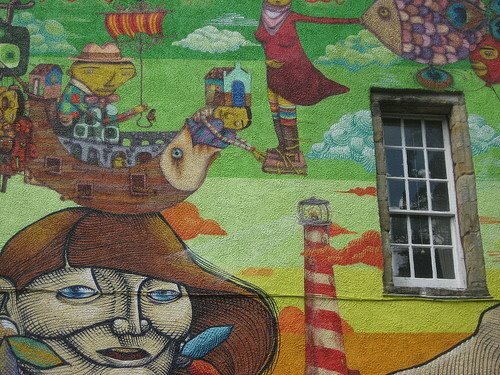 Parts of the building are in need of repair, but funds have recently been secured to begin an extensive restoration, that includes the removal of the external render, allowing the opportunity to use the present surface as a vast temporary canvas. 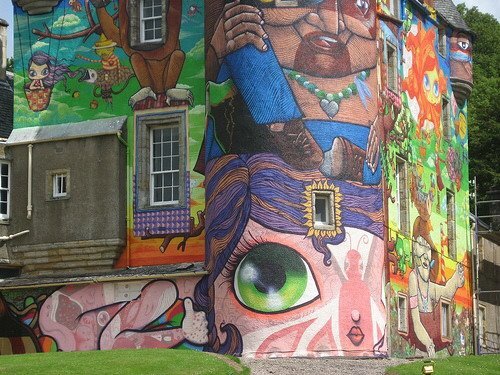 This has inspired the idea for this once in a lifetime project and an opportunity to be part of a truly unique and original event that has world wide media potential. 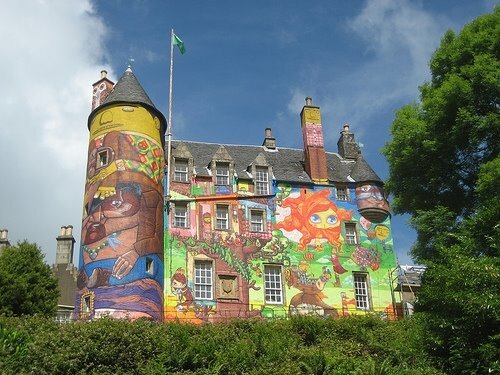 It is thought to be the oldest castle in Scotland to have been continuously inhabited by the same family.